Brevard County has 75 miles of the Atlantic Ocean bordering its east coast, the St. John’s River providing the west border, the Indian River and Banana Rivers both running nearly the entire length of the county, vast numbers of canals, lakes and ponds, and also boasts Port Canaveral, the busiest cruise port in the Western Hemisphere. With the vast amount of water areas and the waterborne activity that comes with it, it isn’t difficult to see why the Brevard County Sheriff’s Office Dive Team stays so busy. 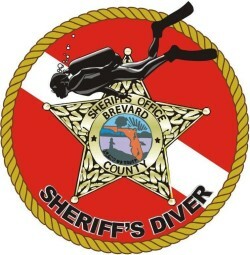 Thirteen members representing a diverse cross section of the different units within the Sheriff’s Office currently man the Dive Team. 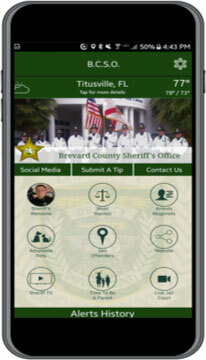 Members are on call 24 hours a day, seven days a week in addition to their primary duties of court services, road patrol, corrections, traffic enforcement, ag/marine and crime investigations. 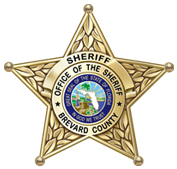 The Dive Team handles all underwater investigations for the Sheriff’s Office including evidence recovery, body recovery, vehicle recovery and any other duties requiring specialized in-water response. 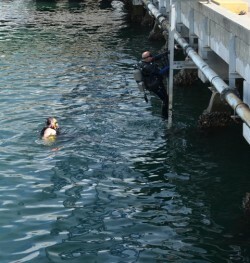 The Dive Team is also called upon frequently by the United States Customs Office and the United States Coast Guard to perform diving operations relating to drug interdiction, (hull searches), and port security within Port Canaveral. Over the past few years, the Dive Team has averaged over 30 call-outs a year. 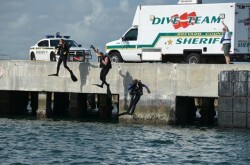 While the Dive Team has been very successful in competing in the Annual Public Safety Diver’s National Forum held in Orlando, it is most proud of its outstanding record of providing a professional Public Safety dive team for the agencies throughout this area and the citizens of Brevard County.